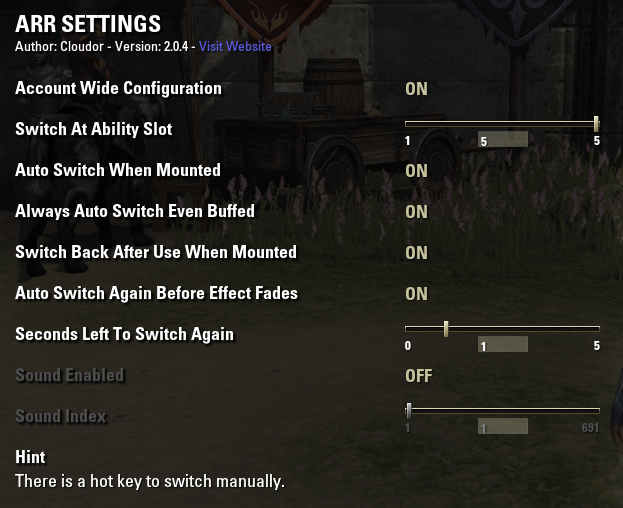 This patch should fix everything you need to make this addon usable in Murkmire. 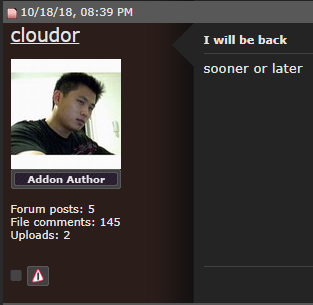 This is a temporary fix until cloudor (original creator) comes back, which he said he would. I will just try to keep it working until that, I do not plan to add features. + Use EVENT_ABILITY_LIST_CHANGED to listen for dismounts (better performance). 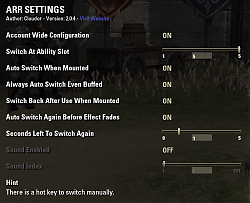 Could you add an option to disable all but the keybind in PvP areas (Cyrodiil/BGs) please? I find myself having to switch it on and off a lot because of that since it's so easy to get stuck in combat in PvP. Otherwise, thanks a LOT for the addon! If you don't have time or interest in this request, send me a PM and I will work on it myself and share you the code. I just figured you might know it better at this point! Thanks for making life so much easier! I use alpha gear and this and have no problem... Do you have a error? what happens? Anyway you could try the original version of the addon, the author came back and updated it https://www.esoui.com/downloads/info...pidRiding.html it's working fine for me as well. The bugs were ruining muh immurshun, MUH IMMURSHUNNNN. Kafe is a hero, Kafe is immurshun.